That's why I say "almost". His opinion on AI War 2 is topnotch and he also has good views on other stuff. But his world view is still very limtied and he does not allow anyone else to interfere with this view. If someone even gets close to piercing his safety bubble he starts to put this person on his ignore list, so he never has to deal with them again. He does not want to interact other people with him, so why should I? But again, this does not count for AI War or anythign he is itnerested in. But people should ignore his snarky comments on stuff he is not interested in them because that's how he is. Cards give the same value as they do in basically every other game, 1/4th of their value for recycling. Premium cards give full value. Really though, if you're not playing Draft, you're doing it wrong. Draft allows you to do something that no other card game would even dream of, and pick your entire pack 4 times. If you pick every Rare and Legendary that comes across your path in Draft, you're guaranteed not only to fill your collection with great cards, but to have plenty of extra crafting dust to do whatever you want. It's very simple, you either play Ranked or Gauntlet to accrue some gold (I was up to 50,000 before this event), then you spend it all on Draft and mega-upgrade your collection. You can basically build whatever deck you want in just a few days if you do this right. It's really incredible. No they don't, unless they changed this recently. Last timne when I checked, a common card gives 1 shiftstone. 1. And no, the crafting cost is not 4, it's 20. That's1/20, not 1/4. If they have changed this, good for them and every player out there, but 1/20 is ridiculous. I'm checkign this again to see, if it has changed, which would be really cool. Also, I said already, other card games did what Eternal already did (you get your cards from draft), so it is not the first one, it is just the most favoured one. Draft works that way, that you pass the booster to another player. if he picks the legendary card int he booster, you are screwed anyway you can get some. Edit: I just checked it,, it's even worse than I thought. t least to some part. You are right, destroying cards gives1/4 of the shiftstone. If you recycle a legendary or rare card. Which you won't, if you have not tons of good cards already. A common card gives 1 (liek I said) and costs 50, so 1/50 of the price! Or 1/3200 of a legendary. Yeah, lot of boosters to open to get one. It's more likely you find one instead of crafting one. Uncommon costs 100 and yields 10 for recycling, so that's at least 1/10. But yeah, with common/uncommon cards you won't get far in crafting, it will take you forever to get a rare card (800) and impossible to get a legendary (3200). So no, it is NOT fair. Even if Eteneral is good in any other aspect, this part isn't good and I won't pretend it is. Vampire, I don't know what to tell you except that you're doing it wrong. Common and uncommon cards are so easy to acquire, you should never have to craft them anyway. Every time you open a pack you get a dozen of them. Every time you Draft you can choose from which ones you want. Each Draft nets you around 2,000 crafting points, sometimes more, and that's before calculating the extra shiftstone you get from actually doing well in your run. That means in ONE DRAFT you can craft any and all commons and uncommons you could possibly want or need for any single deck. Not that you would have to ever do that, because they are so easy to acquire just from playing the game. The only thing you ever have to spend your crafting points on are rares and legendaries. In ten Draft runs you could build basically any deck in the game, even the most expensive. There's no other F2P model even close to this generous. I'd love for you to post the decklist of the list you were struggling to build. You misunderstand the concept. I have all commons and uncommons (or maybe almost all). The thing is, you won't get any rares or legendaries fromt hem. Easy as that. There is no "you are doing wrong" int hat if there is somethign simply not possible. I struggle to get all hte rares and legendaries I need. And suddenly they release a 25k gold campaign that will require another big grind. Also, you are contradicting yourself, in one poitn you say "you never should craft commons/uncommons" in the next one you say, I shall use rewards from draft to get them. Aslo, get this, not everyone wants to paly draft all the time, not everyone wants to struggle with random cards just to get hsis collection. Even if this is generous, this shouldn't be a requirement to get your collection going. Someone once told me, this wasn't a good or fun way on Solforge and he was right. I see this now in Eternal. Please just stop pretending that this is totally fair for your own sake. You pretend this is al fun and generous. Even a great game can have its flaws and this is one. You get 2 Skyrim card packs, 100 gold (I think this is another pack worth), 1 event ticket and 100 soul gems. Additionally you get Elder Scrolls Online and Quake Champions on top. The bundle is worth already for TESO, the stuff for Legends is the little extra on that. Again, Vampire, you were just complaining several posts ago that you couldn't even get the commons and uncommons you need because they are so expensive. The recycling values of cards are trash and getting enough for even a common card takes forever. To which I responded, you should never have to craft commons and uncommons while rares and legendaries give 1/4th of their value, as they do in every other card game. When I specifically said, "That means in ONE DRAFT you can craft any and all commons and uncommons you could possibly want or need for any single deck. Not that you would have to ever do that, because they are so easy to acquire just from playing the game." I didn't contradict myself, I made the point several times that you don't have to craft commons and uncommons, and therefore I didn't understand why you brought it up in the first place (point 1). To which I had already responded, you can easily get whatever Rares and Legendaries you need simply by playing Draft. Okay, now you don't like Draft and that's the problem. So now it's not a problem with the card game, it's a personal issue. You are right, destroying cards gives1/4 of the shiftstone. If you recycle a legendary or rare card. Which you won't, if you have not tons of good cards already. But here you seem either unwilling or unable to understand your own irrationality when it comes to building a deck. You *have* to recycle unwanted rares and legendaries, at least at the start, to build the deck you want. Which is fine, because you'll likely get them back anyway, or if you really want them again in the future you can craft them. It seems like you want it all, to complete the entire collection of cards and to have a deck you can play NOW without having to grind. You can't have it both ways friend. You can recycle unused rares and legendaries to build a deck you can play NOW or you can be very patient and use a budget deck to build your entire collection without recycling anything, which granted will take longer, but I suppose would be more efficient in the long run. Can't have both though. The entire point of playing Draft to build a collection is simply taking every Rare and Legendary available to you and then recycling most of them towards the deck you want. This will net you about 2,000 crafting points each run. That means you can build any deck you want on that Eternal Warcry site in just a few days of playing. You don't like Draft? Then you don't have to actually play the run. You just use Draft to improve your collection + increase your shiftstone and then resign. Other than that I'm not sure what to tell you. It doesn't seem like you can stick with a single objection and continue changing the subject over and over again, without fully understanding the problem with your own use of the system. Eternal is hands down the most generous card game out there, objectively, at least of the top 5. Read the original article, he goes into depth. 1.) No, I said it takes forver to get the crafting stuff for them forever, not, that I don't get the commons, that are two different things. You even just quoted it. I just wanted to show that it takes long for tiny things to get (in terms of crafting). Please don't apply anythign I say to everythign that you see it migth fit. because that's totally not what I wanted to say. 2.) Yeah, they are, as I said, I have them all or at least I should have them all, might have one or two still missing. 3.) Again this is not entirely true. A booster from draft still applies the same rules as boosters that you normally open which means 1 rare and a CHANCE to get more. You get four boosters, so you can get 4 rares (if no one else picks them) with a small chance to get more than 4. 4.) Okay, now you are draggng this on me. Okay... what? Just...w hy? Don't you find any other arguments anymore or what? Draft is an optional game mode that shouldn't be mundane to get a decent collection. In any game. At all. This is nothing of "personal issues" and saying this is quite insulting to me. You should get a decent collection from playing the ame normally. Normally means, playing ranked/unranked games. 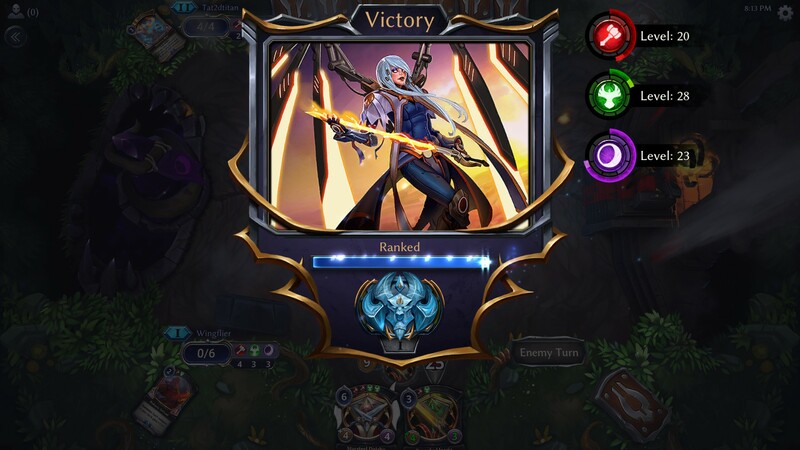 Draft is an additional, optional game modes that rewards players who are interested in it additionally but it shouldn't be the main core to get cards. At all. This would just mean the game is awefully designed in every aspect. Which it isn't but that would be your statement right here, right now. 5.) Thsi si getting quite akward. Because... your arguments get less and less serious. Okay, let's say i want 1 legendary. that means I have to recycle 4 non-wanted legendaries. otherwise you won't get the needed shiftstone for it. Which means I first need these four legendaries. Whcih you don't get, unless, according to you, you play draft. A lot. All the time. or, wait, you said you simply can resign to get it. Which makes it even more aweful. Basically your whole argumentation centers around "You don't play the game like it is meant to be" and "You have to play Draft so you get good cards". That's all you say and you repeat it over and over. For what point? What point are you trying to make here? I said already that Eteneral is generous but you pretend it's perfect. There does not exist soemthign liek perfecton and ignoring glaring flaws won't help anyone. Maybe you are just blind. or maybe I am just dumb because I don't see that the game is pure perfection. Anyway, I drop this discussion now. this is getting out of hands on your end, you just want me to convince me ona flawed system, so you stand right here. I don't even know why, everything has flaws, eternal is no exception. And I won't change my playstyle so I fit your playstyle. Now go ahead and tell me how wrong I am, that that's my personal issue and I play the game wrong and it's not the developers fault then. Do it, I don't care anymore. Ugh, just stop, please. This one is clearly going nowhere. I swear, discussion of F2P *anything* always leads to arguments on any forum it appears on. Back in my day, we bought ALL the cards. Nothing was free! Bah. Well the mana cost seems about right. I agree, this isn't going anywhere. I also find it sad that people always beat on the same 5-10 card games liek there is nothing else out there. Like, Hearthstone, Duelyst, Gwent (now), Eteneral and TESL dominate the whole genre. There are many more interesting card games out there but people always mention just these. While we're at generous card ganes, I started today Yu-Gi-Oh Duel links (Yu-gi-oh is another one of this card games, that gets most of the attention but more on a physical base than digital). Duel Limks is pretty much "half" Yu-gi-oh. Why? Because everthing has been halfed. Monstercard zone and spell/trap card zone have 3 fields each instead of 5. Players start with 4000 lifepoints and not with 8000. Deck consists of 20 cards, not 40. Yep, they halved everything. For casual gamers? I don't know. The card game is, suprisingly for Yugioh, very fast paced, duels last only a few rounds. The game is also centered more on Player vs environment. The game features a campaign were the player enters a virtual world to compete in some sort of environment, you can select between two characters, Yugi and Kaiba (yeah, the ones from the series) which start out with different decks. During your playtime you unlock other characters who have also their own deck isnpired by the series. You get all the cards from the deck and you can use the cards to your liking (free deck building). Characters can be leveled for various rewards (cards, currency and deck slots), at certain levels they unlock abilities and you can use one ability to start your matches with. Players can farm the PvE fights in the game world for quick gems (currency) and other rewards or they can compete int he PvP arena (which is simply monthly ranked matchmaking). The game is very generous towards rewards, you get points for your performance on matches and for each 1000 points you get a new reward which can be anything from some currency to new cards or simply crafting materials that you can use for cards. "Keys" are a major aspect of the game to unlock and play with "legendary" duelists from the series which give you bigger rewards and are necessary to unlock new characters. The game has even an auto-duel function for PvE matches to farm rewards quickly. Now, about being generous, the game gave me 2300 gems just for starting th egame for the first time (these are however given for specific milestones and events int he game, so not everyone might get the same, depending when they start). One pack costs 50 gems. 50, not 100 like in most games. Which means the game gave me 46 boosters away for free. Another big part of the game is, that boosters cannot give you more cards that you can use. You have the same card three times? You won't get it again from this pack unless you recycle it so you get crafting materials for another card. the game even counts how any boosters you have to buy until you get teh whole collection from the set. This ranks between 200 boosters (for big sets) and 80 (mini sets). Now, the thing is, the game has many sets which is because the game exists for years as physical game and they simply have to apply these cards to the digigtal version. There are already multiple thousand cards out there. And they still haven't migrated all cards from the game.This means A LOT to colelct (if you want to have everything) but basically you can simply get the boosters you might see your playstyle fit. Sets are centered about different themes (fusion, water monsters, ps-monsters, spell combinations), so you can start your collection to your liking. There are currently 13 sets in the game, which will overwhelm newer players. You can always check the full list of cards for each set and each set shows also some useful strategies and card combinations on the information cover. Additionaly you can buy themedecks for 500 gems which are obviously stronger than the starting decks for each character. Biggest flaws? too many sets to overwhelm new players (and the nmber will rise), even if you get gems quickly. New players won't know which sets to buy first and might sink their ge,s into one set that they don't even need. Especially the first sets have now very much outdated cards (because konami never updated their cards) which are just terrible compared to newer cards. Crafting is weird, the game does not use a pseudo currency like in other games, I think this is even worse than Eteneral, isntead they use different crafting materials made out of properties for cards, like earth or rarity of the card, additonally you also have to pay gold, which is a second, unneeded currency that exists for some reason. Some (cheap) cards can simply be bought for gold and do not need crafting materials.Alsom, the number of PvE players is limited, once you defeat them, they disappear and you have to wait for them to reappear. However, PvE is still made better and more rewarding than any other card game I know. Eh, the bit about people just doing 5 or so card games isn't unexpected, really. I find that's the case in ANY multiplayer game genre. Fighting games, for instance. There's tons of them! And tons of them are great fun. But there's very, very few that you can ACTUALLY expect to find opponents for in a reliable way. And yeah, it's always been very frustrating. Or the whole MOBA genre, where only a few of them even survived at all. And I don't even want to talk about the RTS genre. Card games at least are a bit easier to get into, so they may be more viable, but yeah, pretty much what I'd expect. While were at this, why not be honest and say it's in any genre. Because it is. There are always aroudn 10 that are sticking out quite nice which drowns other games in the same genre. This is the biggest reason why SR didn't do as well as it could, because people simply got their heads into other games at that time and didn't even know it existed. That's why marketing is so essential in this business (as in any business). If people don't know you exist, why would they buy your stuff? Doesn't help with all the content creators out there, who promote this even further and bloat a single thing to no end until the last person on earth knows about it. See Five Nights of Freddies. See Undertale. See Isaac. Of course these games sell well because they are also good games by themself but the main interest comes from popular people who play this and promote it on review sites, youtube or sinply twitter. And this leads to a withdrawal of attention in other games, there is only so much viewing time we have each day. But yeah, Multiplayer has a bigger impact because these games rely on a good amount of playerbase, otherwise they are empty, like your example, it's hard to find other players in fighting games. This is true to any multiplayer game that is not popular right now. Hyper Universe is an excellent game but it does not get enough atention, you wait 5-15 minutes to find a single match. And when you find it, one of the players does not notice this or forgot about the game or something else, so he does not connect and you are forced to search again 15 minutes. This lack of players in games lead that the players, that did play it, leave as well. Why would you waste 30 minutes each time if you could play something else that matches you in 2 minutes instead? I did this. because it was too tiresome to find matches. And this leads again to less palyers, more waiting time, more people will leave.... you see where this gets. Card games have another problem, even if they are simple to get into (rules are easy to learn), the problem is the amount of collection. this is why Hearthstone is unplayable right now. You start with literal nothing and the game expects you to get a good set of cards in a very short time because it will match you with people that have better ccards than you very quickly. It does also not help that people, that start a new game, simply do not know, if the card is good or not. Yu-gi-oh is in itself an excellent card game but there are by now so many cards, players don't know where to start at, what boosters they should get, what cards are good and what not. Same goes for any oher card game that is going aroudn for at least a year or two. Give Eteneral another year and it will end the same way. It has already two payable campaigns with extra cards and as new player you won't know which you should save your gold one first. Also, campaigns are an aweful idea in itself already, Hearthstone did well in corrupting this again. I like campaigns for the extra bit of playing against AI decks, sometimes wit special rules. But I don't want to tie unlockable cards to this and I surely don't want to pay extra because of this reason. Put the new cards simply into a set and that's good enough, no reason to charge for an overpriced campaign. Vampire, I wasn't trying to insult you or belittle your opinion. I just think you have some things factually wrong about Eternal's model. 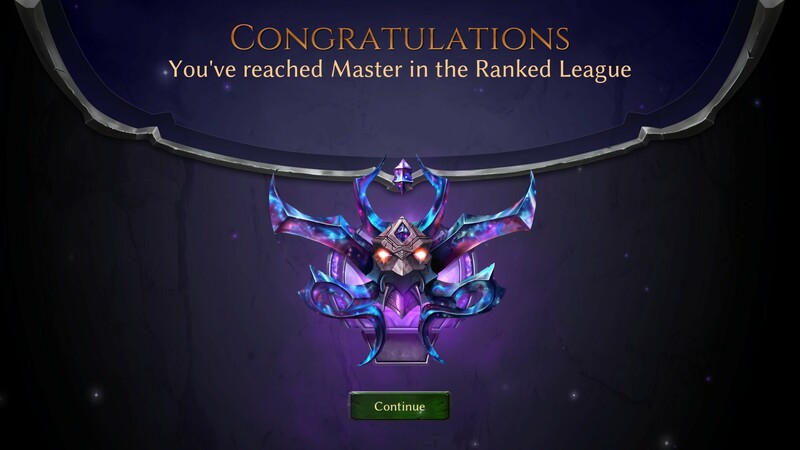 I just reached Masters for the second time and I haven't spent any money on the game. Obviously I'm not the best player in the world but I achieved the highest rank possible for free, and I only started about a month ago. In any case, I didn't mean for it to be an argument, I enjoyed the conversation. Yeah, this was some sort of misunderstanding on my end. Also I never wanted to say that Eteneral isn't fair or generous or that you cannot reach high ranks for free (something I'm not even interested in). All I wanted to make clear was that Etenerals recycling value is sless than most other games in the genre.